Statistics indicate one in nine Americans work in sales. But is that figure accurate? 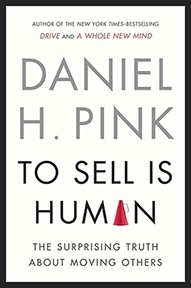 In this issue of The Pulse, we take a look at influential business thinker Daniel Pink's new book, To Sell is Human: The Surprising Truth About Moving Others, where he argues more people than ever are in sales, whether they realize it or not, and it's time we re-examine how we're tackling the task.